Another film school project, another good time. The Geology Student was a character study assignment that I used as an editing exercise to manipulate my friend Jeanette's words as she gave me a tour. 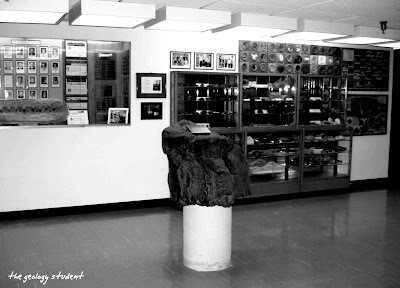 The location in College West looked exactly the same to me, including everything from the giant rock on the pedestal to the 'tiger' rock in the display case. Not that I expected anything to be dramatically different, it was just interesting standing in the same place again. See the 2006 short below.